The big question now is whether the US economy has bottomed. And while I don't think we can answer that question until April, some of the recent data have been positive on that score. But the data are mixed at best. For example, today's jobless claims number showed a 4-week average of 225,000, bang inline with the year ago levels. So, while the claims number is flashing red, by showing elevated numbers versus year-ago levels, it has stabilized. That is positive. The unfortunate bit here is that continuing claims comparisons continue to show weakness, as the 4-week average differential has narrowed to just over -100,000 from over -200,000 4 weeks ago. Soon, the continuing claims number could be flashing red as well. And that's a big problem. That's good. But look at the chart they produced. 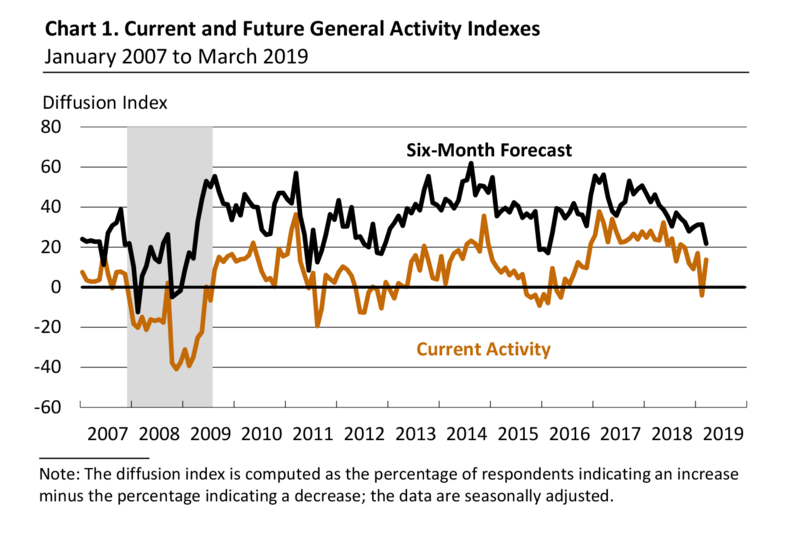 Notice that the six-month forecast is still in a downtrend. That's the line we need to pay attention to. And so, while we see a rebound and the forecast is good, the trend is bad. And of course, we know that the GDPNow number is still running at a measly 0.4% for Q1. So, I would argue that the Fed was forced to cede ground. The numbers are just too weak for hawkish rhetoric. 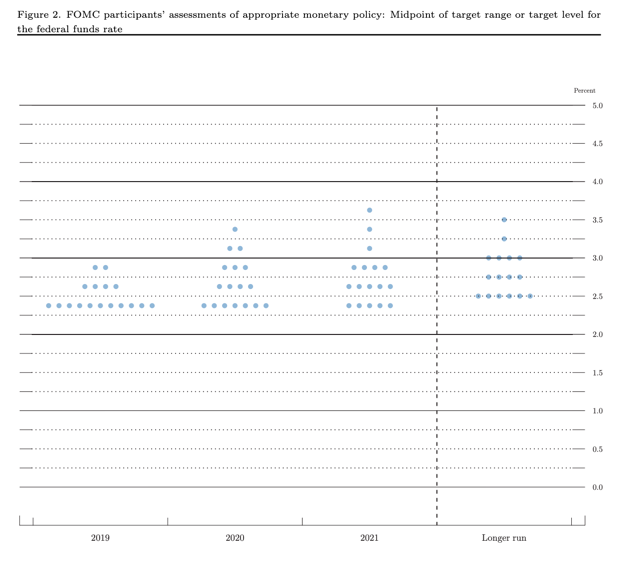 Most Fed officials now expect no rate increases in 2019, just a single one in 2020 and none in 2021. That's dovish. I don't see how the Fed can reasonably be more dovish than that. Talk of the Fed cutting is premature and unreasonable. Moreover, the central bank also said it will begin to taper quantitative tightening in May, and will end the program in September. Again, that's about as dovish as you can get. And it's what I told you the market wanted. All of this says that it was the Fed's economic outlook driving the market moves. The Fed's policy move and messaging in December was all wrong. It simply did not recognize the dangers and pivot fast enough. But it has done now. And we simply have to wait to see whether it will be enough to prevent further weakening and recession. I think there is a reasonable possibility that the US economy re-accelerates from here, just as with the global economy. Brexit, in particular, could be an exogenous shock that disrupts any momentum though. So, it is too early to know. In April, I think we can begin to decide where this is headed. But, for now, the risk-on mood since December seems to have taken a knock.